Are you a mature driver confused by the road signs and symbols you pass on a daily basis? With the U.S. Census predicting that by 2035 the number of individuals aged 65 and over will reach 78 million, there’s the potential for millions of seniors to hold a valid driving license. But, with the country’s road signs being some of the most confusing and frequently changed in the world, it’s no surprise that some are feeling less and less confident when they get behind the wheel, as well as being fearful of the roads. Traffic signs date back to ancient Rome, although, they were in a different form compared to today. In 1922, all road signs were standardized to have black lettering on a white background. However, since then, there have been many changes to America’s traffic signs, including the change in color of the ‘Stop’ sign from black and yellow to white and red in 1954, the introduction of new regulatory signs in 1971 and new symbols put on several different signs in 1978. The sheer number of times road signs have been adapted has already resulted in the country’s elderly residents going through multiple changes during the period they’ve been driving and it’s very likely that over the years they’ve missed various updates and have carried on driving without fully understanding the new signs that have cropped up along the way. So, if you know you’re a little unsure of the signs you pass on a daily basis, ensure you take action to resolve this, such as signing up to an online theory course. It was the United Nations’ aim in 1968 to have all UN countries agree on the same standards for road signs to be used on their roads, however, both North America and Canada refused to conform with international standards and instead set about creating their own signage systems. Senior drivers who have spent significant time driving in other UN countries or who have emigrated to The States from one, may have difficulties staying safe on the roads due to the lack of consistency between countries. Therefore, it’s recommended you undertake some practical and theory lessons to ensure your knowledge is up to scratch. In 2004, the U.S. Federal Highway Administration approved the use of a new font, Clearview, for all road signs. However, in 2016, they overturned this decision, stating Highway Gothic was to be used instead. 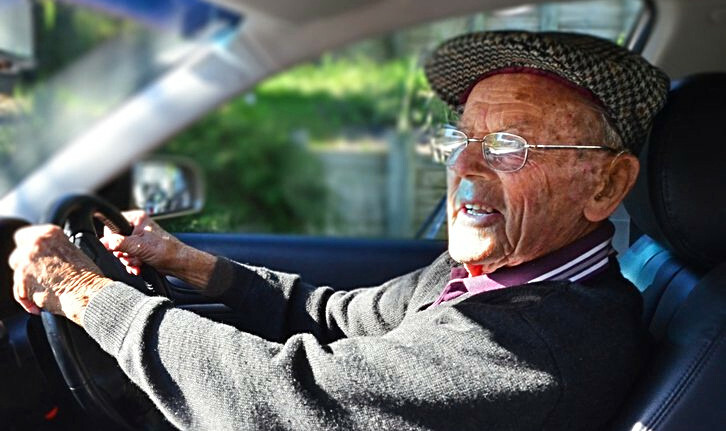 Clearview was previously utilized due to its high performance in nighttime driving tests and easy readability for ageing drivers, which was welcome news for senior drivers looking to improve their skills. Overhauling the design is usually only done to benefit road users and while many may find the constant changes an annoyance, it’s great that the authorities have the public’s safety at the heart of these modifications. Road traffic signs are an important part of the country’s roads and it’s vital that all senior drivers know what each of them mean. But, with so many signs to learn and numerous adaptations made to them over multiple decades, it has proven difficult for ageing drivers to keep on top of these. Therefore, making the effort to update your knowledge via books, online courses, and spending time with a qualified instructor is beneficial for all.